Mora grew up in Duran, between Vaughn and Encino. In its heyday Duran boosted 300 residents although there are now only a few living there. But the town’s former residents will gather on June 25 to celebrate the 100 years of San Juan Bautista Church and Mora be there. 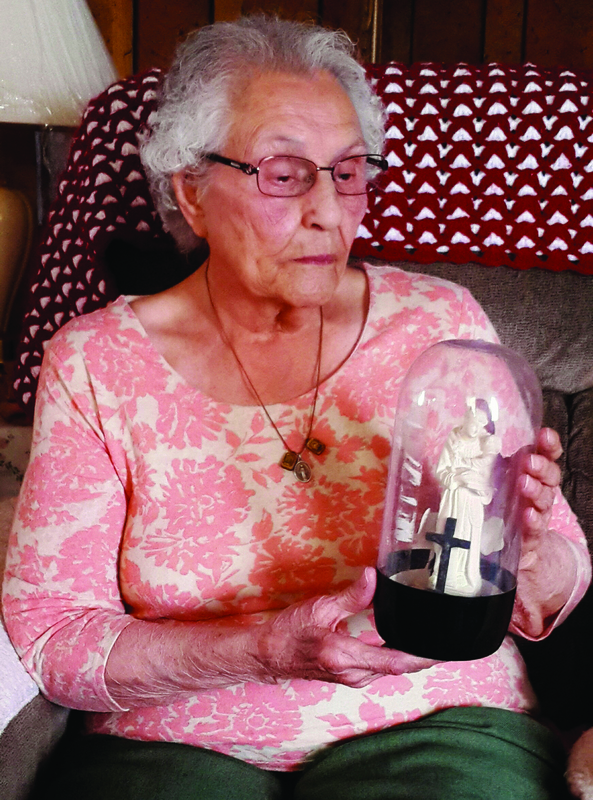 At age 89, she is the oldest living member of the Our Lady of Mt. Carmel Society that has served that church, with cooking and cleaning. Mora joined the Society in 1943. The petite woman remembers riding in a horse drawn wagon to go from the Saiz ranch in Pinos Wells to the town of Duran. Then one day her father came home with a new form of transportation. He was excited to drive his Model T. The roads had just been covered with black top and he would drive in the middle of the street. “These roads were made just for me,Isidoro Saiz would tell anyone who would listen. 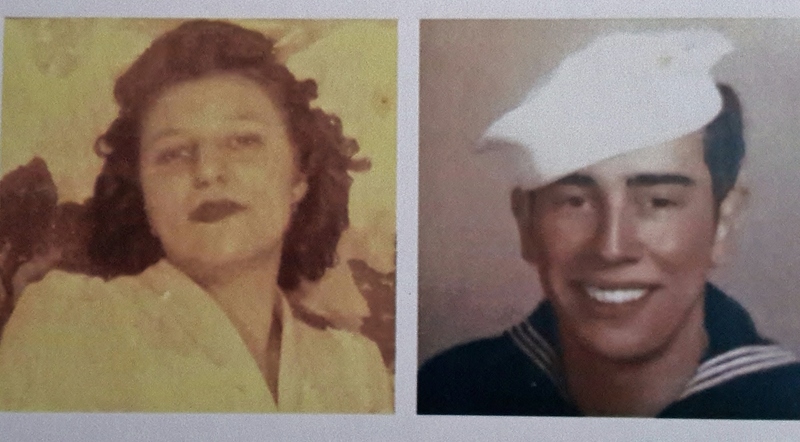 Mora, who lives in Moriarty now, married Dario Mora in 1946, a year after he returned from World War II. Dario worked for the railroad that had come through Duran. While he worked outside doing maintenance work, his wife gave birth to 11 children in less than 20 years. She also managed the kitchen for the school in Vaughn and did a lot of laundry. After her husband died in 1974, and then the school in Encino closed, Mora followed two of her daughters who had taken teaching positions in Moriarty. Josephine (Mora) Mondragon and Marian Mora started teaching for the Moriarty-Edgewood School District in 1983. Their mom was hired as the manager of the kitchen at Edgewood Elementary. Both daughters taught for 30 years. The town of Duran was built in 1902, named after two brothers who had dug wells that serviced the railroad with water. Later, lack of water and the declining use of the railroads would be the issues that forced people to leave. The folks from Duran and Encino grew up feeling proud that “one of their own” was a governor of New Mexico. Richard C. Dillon was the eighth governor of the state from 1927 (when Mora was born) until 1931. He owned a mercantile in Encino and retired there when he left politics.